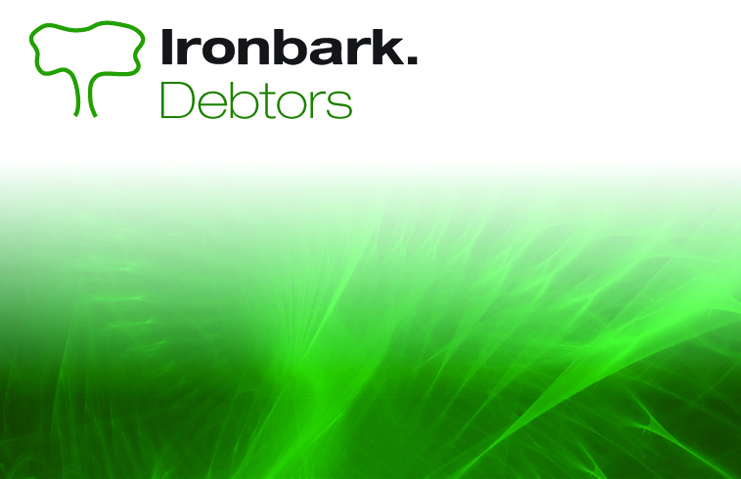 Ironbark Debtors – Accounts Receivable Software is designed to streamline and control the accounts receivable ledger within your business. It is integrated with General Ledger, Sales Orders, Sales Analysis and Job Costing modules, to ensure that data is never entered twice. 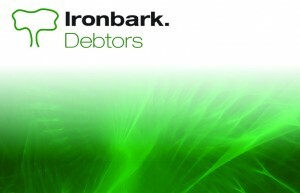 Ironbark Debtors allows for foreign currency accounting, caters for allowable discounts, has the ability to set up debtor rebates per debtor, permits users to specify accounting period end dates and allows for the faxing or emailing of invoices and statements straight out of debtors. End of month is quick and easy and be run at any time with the capability to run all reports post EOM. The debtor trial balance can be checked at any date including previous financial years. The ability to receipt payments into multiple bank accounts with integration into the bank reconciliation module is catered for by allowing discounts to be entered with cash receipts. 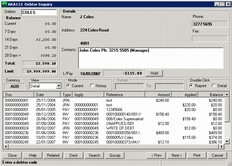 Ironbark allows for partial and unallocated cash receipts to be posted, plus automatic calculation of rebates at cash receipts. Print invoices straight out of the enquiry screen or drill down to see General Ledger allocations. debtor codes up to 8 digit alpha numeric characters long. Ironbark provides for compulsory listings prior to posting and the ability to amend data prior to updating the ledger. Debtors listings, Slow Debtors reports, Aged Trial Balance (detailed or summary), BAS & GST reports, Statements, Sales Analysis, Credit Hold listing and Debtor Labels are some of the reports available from this module. 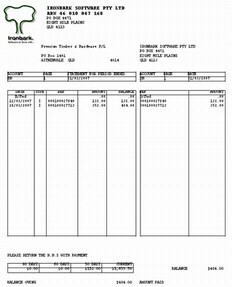 Reports can be printed or displayed on screen for those who are cutting their paper costs. View the Debtors Accounts Receivable software overview.